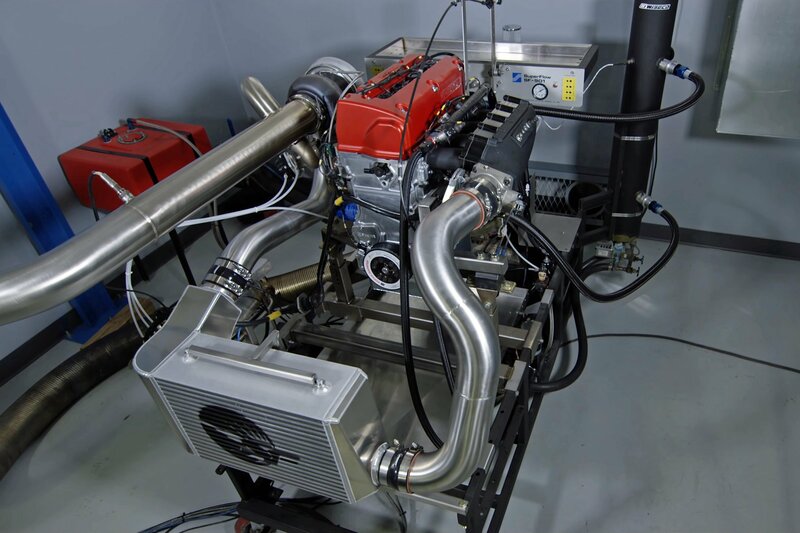 Building a performance engine from scratch has always been a task where the engine builder needs to bore and hone the engine block, along other machining operations. This is done to set up the clearances so that the pistons ride straight and true in the bores, the oil travels to the right places, and all of the engine’s elements come together, creating compression that turns into power. Not so in the case of the 3.8-liter VR38DETT twin-turbo engine found in the Nissan GT-R. Joe Irwin of Fast Forward Race Engines in New Port Richey, Florida has been working hand-in-hand with Mike Panetta from Diamond Pistons and Nathan Cicio at TopSpeed Motorsports to create some of the powerplants that have taken TopSpeed’s customers to new heights. Six soldiers, lined up and awaiting their instructions for duty. Diamond pistons, Total Seal rings, and Callies Ultra Pro billet rods are used in this build. 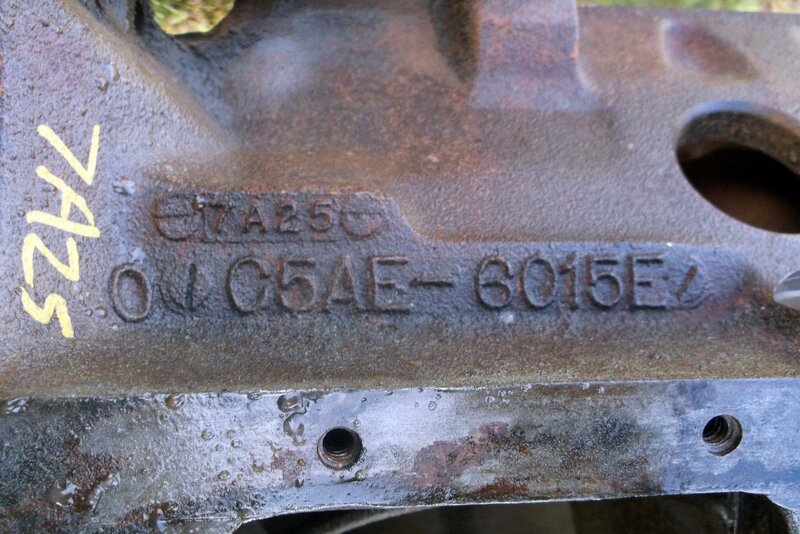 “The factory GT-R blocks come with a bore specification, what Nissan considers Grade 1, 2, or 3, and the block is stamped with that information. That basically tells you the the dimension required for the piston,” says Panetta. 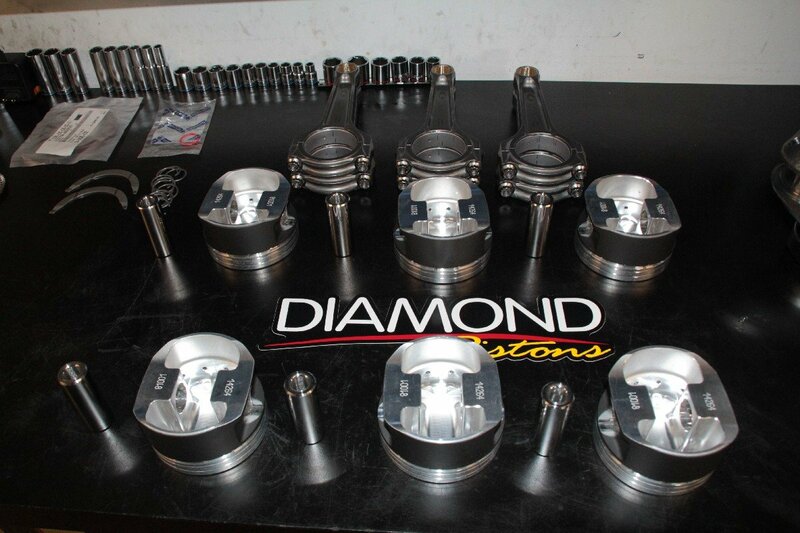 Each grade carries its own bore size, and thus Diamond is able to sell GT-R pistons that offer the correct dimensions for each block grade exclusively through Fast Forward and TopSpeed Motorsports. Current 2015-spec OE engines produce 542 horsepower at 6,400 rpm and 463 pound-feet of torque at 3,200 rpm — solid numbers, but only the beginning, as many GT-R owners turn up the power almost immediately after taking possession of the vehicle. Three views of the bare block. Note the rings fitted into the bores for measurement in the middle photo. Irwin fits each ring to the particular cylinder where it will reside. 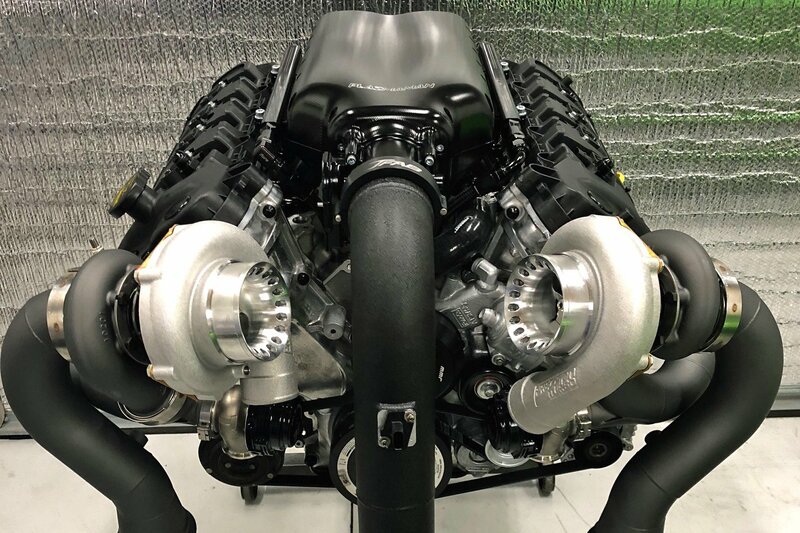 The opportunity recently came along to follow Irwin as he built an engine for one of TopSpeed’s customers, and in the process much insight was gained into what it takes to make one of these V6 engines live and make great power. Nissan does not use a cylinder liner on the GT-R’s VR38DETT block like those found in many factory aluminum blocks; instead, they use plasma-transferred wire arc (PTWA) sprayed cylinder bores. 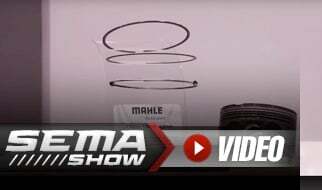 The PTWA process is a thermal spraying process where, using a supersonic plasma jet, conductive wire is melted and subsequently atomized before it’s sprayed onto the cylinder walls, flattening upon contact and providing the perfect surface for piston rings to seat in. 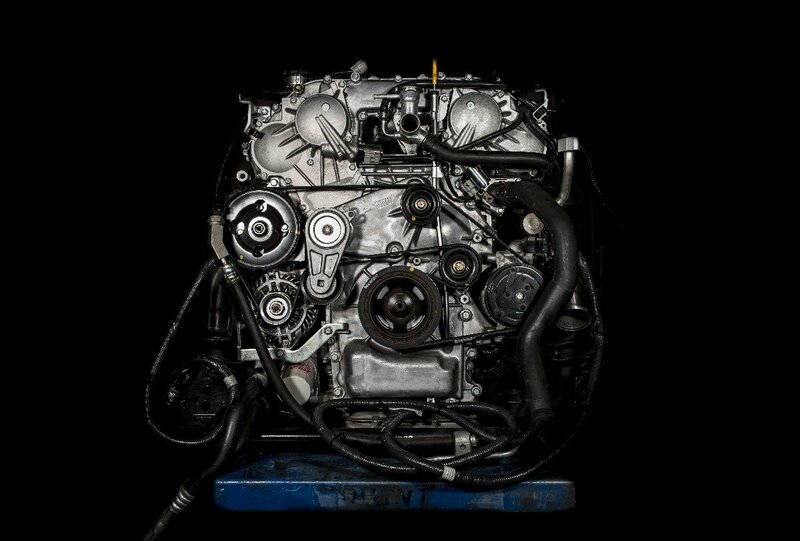 This process was also used on the 5.8-liter engine found in the recent Shelby GT500 Mustang. The rotating assembly awaiting installation. This is where the grading of the engine block comes into play; after the PTWA process is complete, Nissan subsequently measures the bore of the engine to determine the proper piston dimensions and scribes that onto the block for builders like Irwin to use during the piston ordering process. Taking measurements, and checking them thrice -- Irwin feels that attention to detail is what separates the engines coming out of FFRE from the competition. The dozens of high-performing GT-R engines they have in the field are a testament to this view. 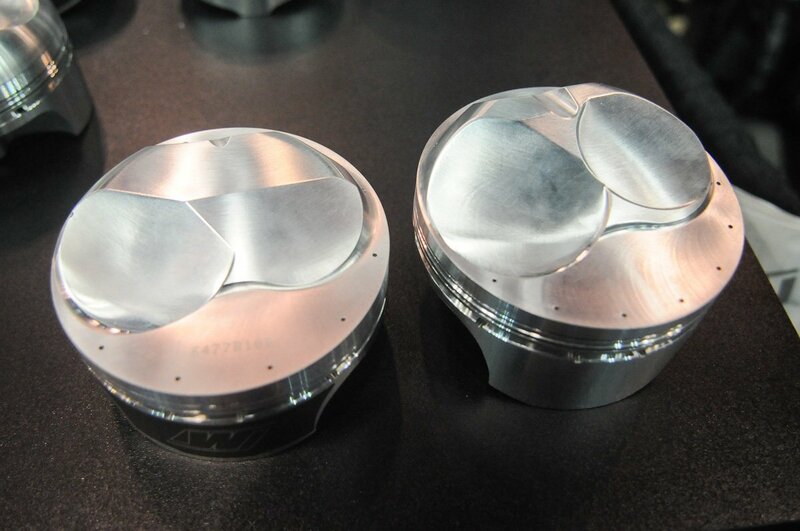 When Diamond first dove into their GT-R piston program, the initial piston designs were constructed for race engines specifically, with billet piston designs the only ones in production. Those engines were sleeved, big-bore, stroker examples of the breed. Since then, they’ve expanded their coverage into a line of forged units, so that customers can take advantage of the stock-style components with upgraded internals and make big power. The forging offers a number of advantages, among them: cost, quiet operation, and construction methods. Panetta says that the forgings have thick skirts to handle the elevated boost levels enthusiasts are pushing through the stout V6 platform — somewhere around 40 psi boost, if Irwin’s musings hold true. Various views of the piston forgings that are currently built only for Fast Forward Race Engines and TopSpeed Motorsports. Diamond's Mike Panetta says these are designed to work very well with the characteristics of the GT-R's engine. 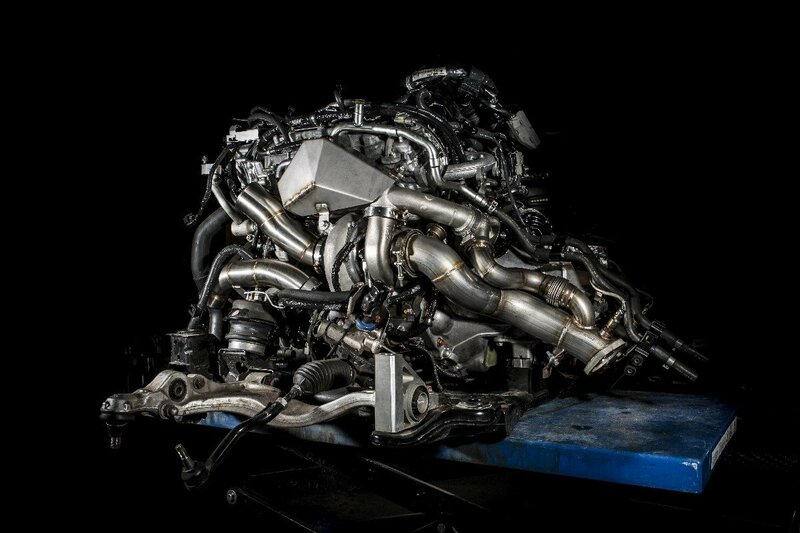 Handling the boost from what are often upgraded turbochargers can be challenging. 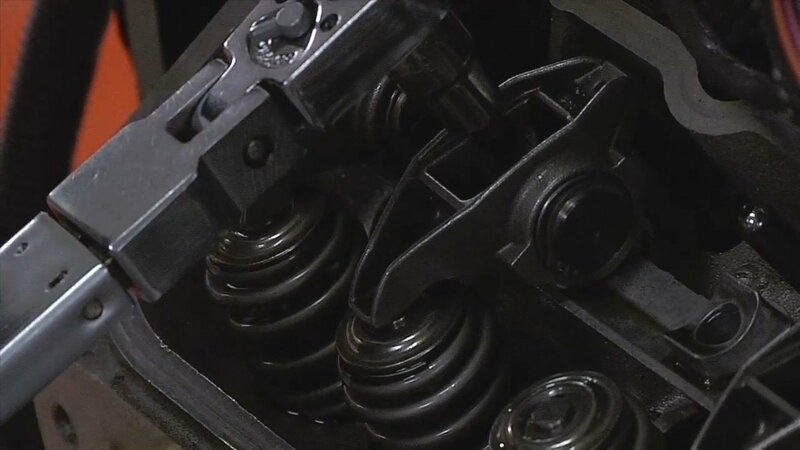 In order to assure the pistons are capable of the incoming air/fuel charge, Diamond set the top ring land on the piston .250-inch down from the top of the piston, which leaves .200-inch material between the ring groove and the valve relief on the piston’s crown to ensure strength at the top. The second ring land is also .200-inch thick to help support the top groove. “Most people think .300-inch down is the ‘number’ to shoot for, but the more critical dimension is the thickness through that backside cross-section,” Panetta explains. 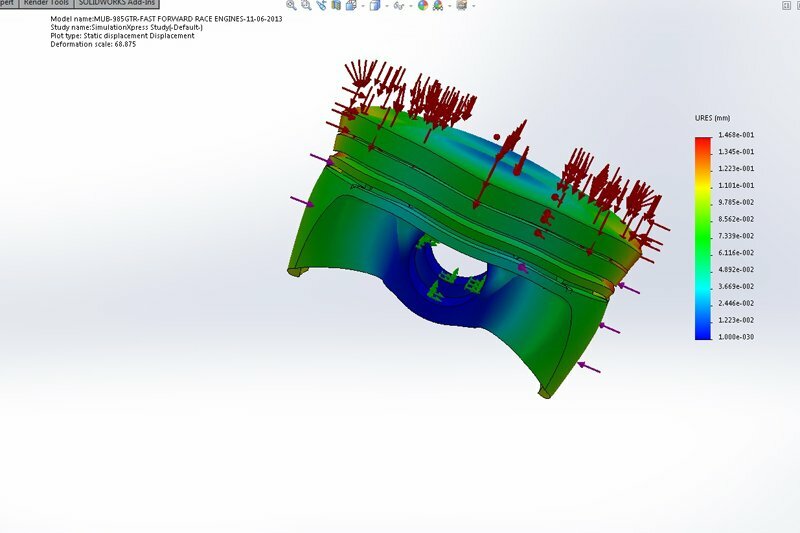 The piston development process includes Finite Element Analysis, which has been a boon to Diamond as stress testing and performance can be virtualized prior to ever forging the first piston blank. Traditionally, for a piston to evolve from uncompleted blank to finished product, it would move between 12 to 14 separate machines to perform the fine detail work to become a finished piston, ready to box. Now, Diamond has developed a process — and invested in the machinery — to allow them to install a raw forging into one machine and run through all of the processes minus the final skirt shaping before it needs to be touched by the operator. They use this machinery for large runs of product, as it cuts down substantially on the amount of time it takes to finish a piston by cutting down the setup time from machine to machine. “We cut out all of the chances of human error throughout the manufacturing process. 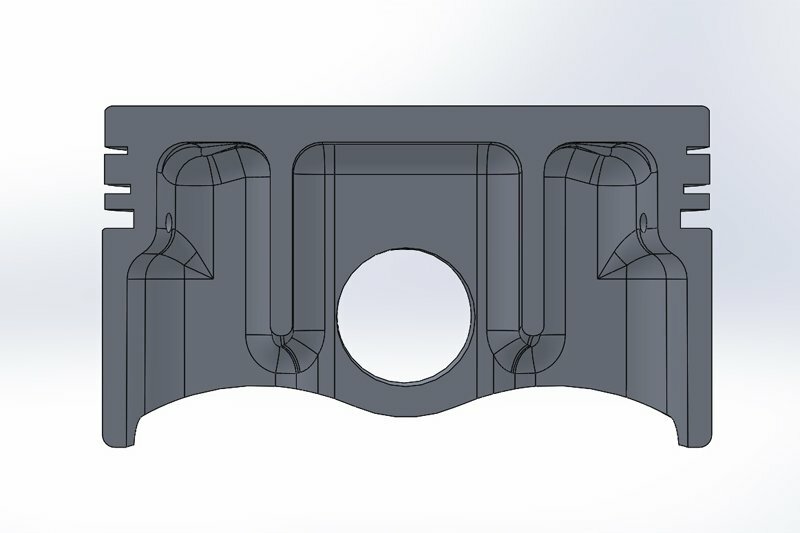 Now, the piston doesn’t come out of the fixture until it’s done, and the tolerances between part to part are identical. The quality control is light years ahead of where it used to be,” says Panetta. 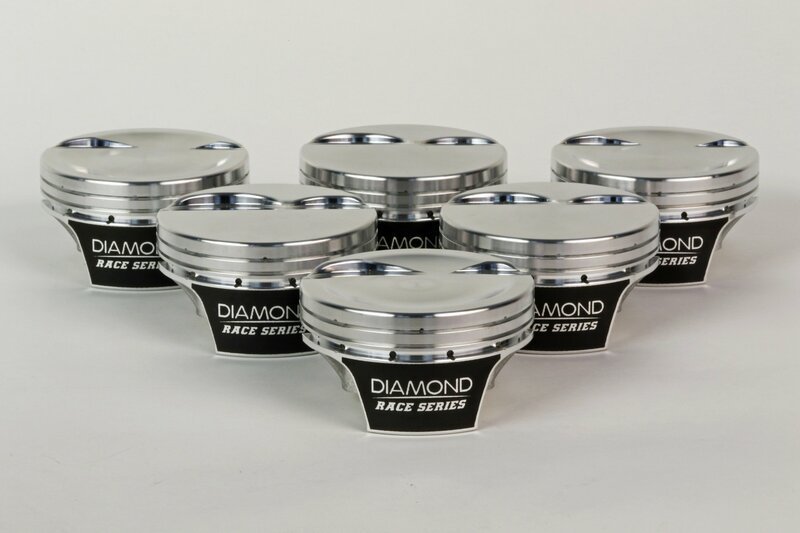 As Trend Performance is Diamond’s sister company, it’s only natural that the pistons are delivered with a set of Trend’s pins — in this case, they are constructed from H13 tool steel constructed from .200-inch-thick straight wall material. The H13 material carries a Rockwell hardness around Rc54. The company has a proprietary super-finishing and lapping process designed to reduce friction to provide the pin a longer lifecycle, especially in the tough sort of environment this GT-R engine will face. The pins are finished in Diamond-like Carbon (DLC) coating for even more friction reduction, which has become the standard in power-adder applications. 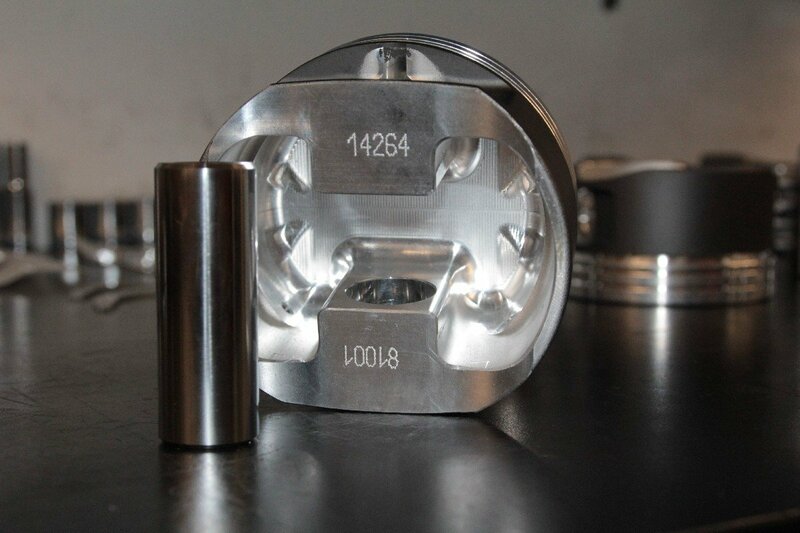 Rather than reinvent the wheel in terms of cylinder sealing, Diamond relies on the experts at Total Seal to provide the ring pack for these pistons. “We use Total Seal rings exclusively with these. It uses their Advanced Profile top ring, a Napier second ring, and the oil ring assembly is a custom-built system to get the tension where we wanted it. They come in around 16 pounds of tension, which works great, especially since they aren’t honing the block. They seat really well with the bore coating,” says Panetta. Ring dimensions come in at 1.2mm on the top ring, 1.5mm on the second ring, and 3.0mm for the oil ring assembly. Round wire locks measuring .073-inch are used—there are no spiro-locks to hassle with on these pistons. The pistons are supplied with a moly skirt coating for its antiwear properties, and they can also be ordered optionally with Diamond’s hard-anodizing process on the top of the piston for heat resistance. There are no secrets to installing the round-wire locks with these pistons. A screwdriver and a bit of finesse are all that’s required. 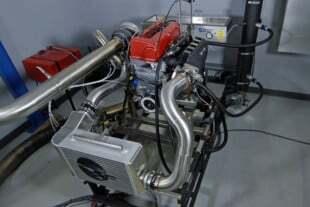 The engine uses a balanced 88.4mm-stroke stock crankshaft that’s been matched to the rotating assembly, a set of FFRE-spec 6.500-inch Callies Ultra Billet connecting rods, and the Diamond pistons discussed above. With the use of a brand-new block, Irwin didn’t even need to fire up the hone — just check the grade number on the block and place the order with Diamond for the pistons. Nominal bore size is 95.5mm, but determined by the grading process once the PTWA liner is sprayed in. (Top Left) Placing the bearings into the main saddles. 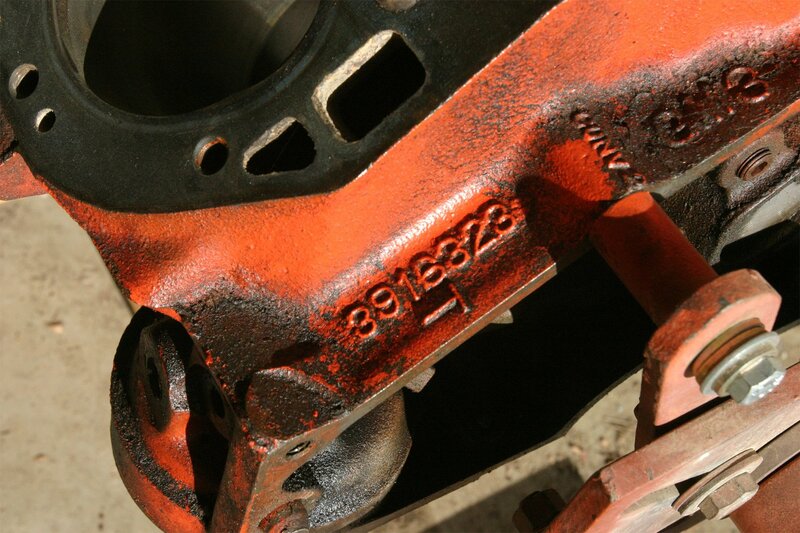 Nissan uses a grading process for the bearing measurement much like the grading process for the bore dimension. (Top Middle) Laying the crankshaft in place. (Top Right) Note the two-piece block construction--once the crankshaft is laid in place, the lower half of the block is fastened to sandwich the crankshaft. (Bottom Left) Torquing the block halves together. (Bottom Middle) In the upper right corner, note the two main studs that have been trimmed for oil pan/pump clearance. (Bottom Right) Checking crankshaft endplay. (Left) Irwin stresses that the bores must be absolutely clean before installing the piston and rod assemblies, and credits the PTWA process for allowing the rings to seat in almost immediately upon startup. (Middle) Checking rod side clearance. FFRE has developed the proper measurements to use here for their big-power builds; the dimensions remain a competitive secret. (Right) checking piston depth in the block. While it may seem as if this engine is simply an assembly of parts thrown together, that’s absolutely not the case, according to Irwin. “A lot of guys are just slapping these 3.8’s together with drop-in stuff, they don’t even pull the crankshaft out of them — they’ll just swap out the rods and pistons. We go through and balance the rotating assembly within half a gram, and ensure all of the bearing clearances are set properly. The bearings are set up and graded like the block — they are spec’d out by color; black, brown, green, yellow, and you pick and choose what bearing you need based on what you’re getting in your bearing clearance readings. These are the things guys just aren’t doing with these engines,” Irwin explains. 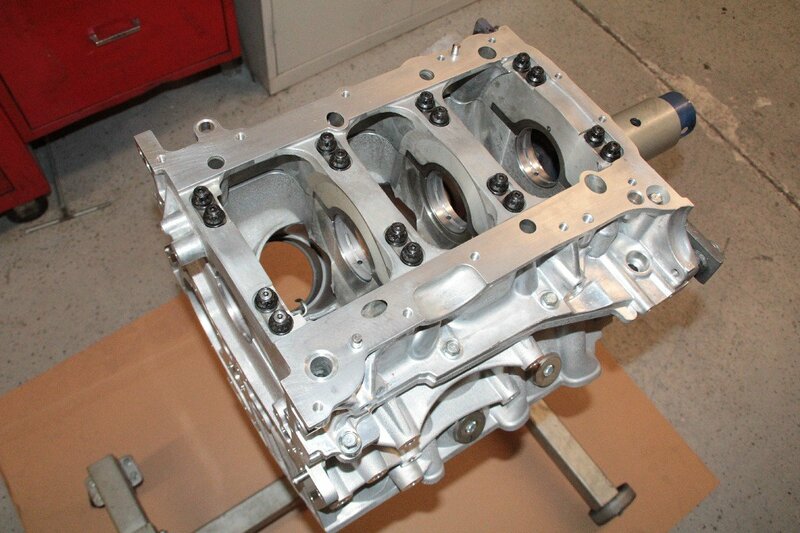 The completed short-block awaiting the cylinder heads. FFRE is working to help develop an article on those for the future, as their setup and installation simply couldn’t fit within space constraints this time around. The specific processes and parts selection that FFRE has learned over the years in terms of what it takes to get one of these engines to live has come as a challenge to Irwin and his crew. Everything comes down to the attention to detail paid during the build process. For example, setting bearing clearances to the correct specifications to live under immense boost and power levels. 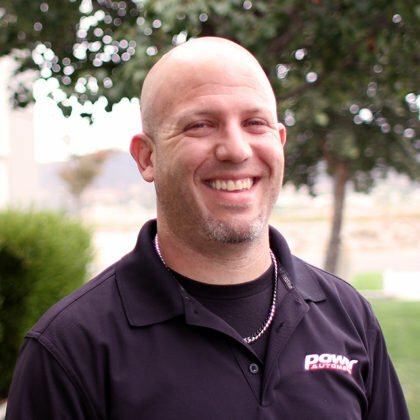 “We open the bearing clearances up a little bit from the factory specifications, and we go with what we have found to work in terms of adequate oil pressure. We do it in two different steps; 700, 800, 900 horsepower, we’ll run them a little bit tighter than the real big power builds. If the engine’s going to push 12 or 1,300 horsepower or more, you’re going to run into a little bit of crankshaft flex, and we’ll open the clearances up a little bit more on those,” Irwin explains. FFRE has built dozens of GT-R short-blocks and engines to this point. 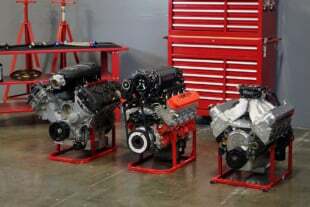 For their all-out customers they have gone as large as 4.4-liters with specially-sleeved blocks and Sonny Bryant billet crankshafts among other requirements. 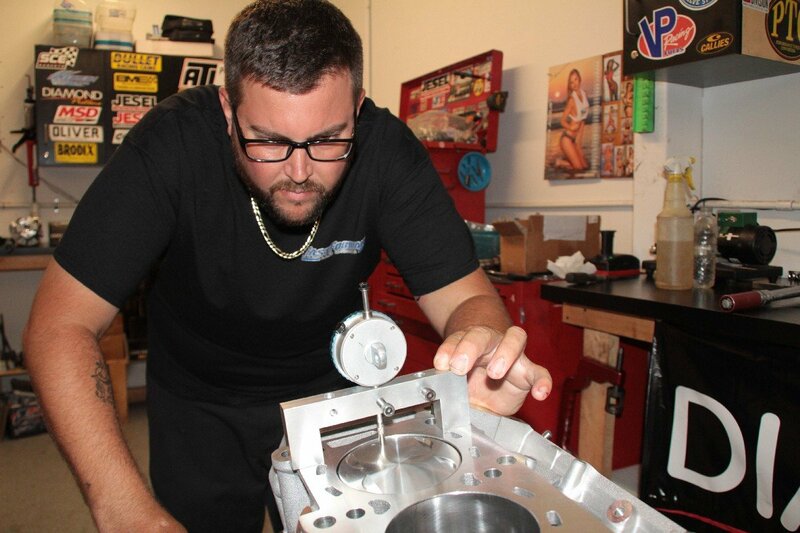 Those engines also have billet inserts placed in the block’s surface to build extra strength into the deck, and Irwin says that the challenge to keeping those serious competition engines alive is head gasket retention. 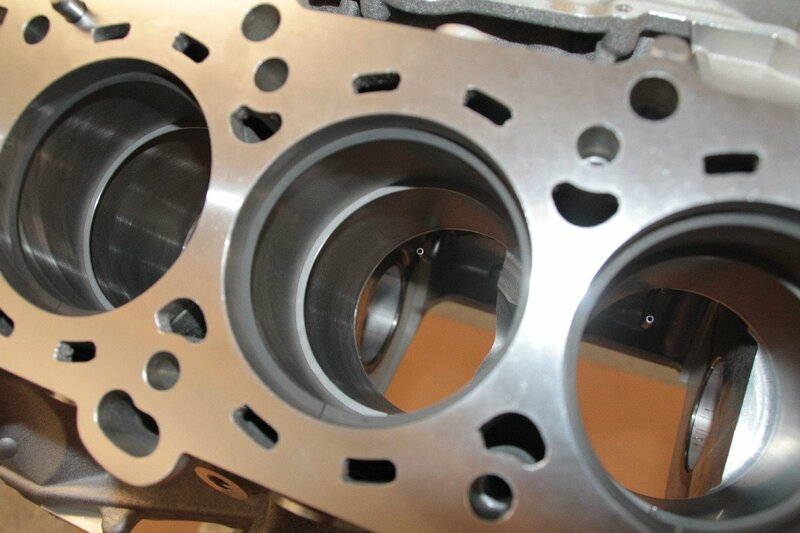 In those engines, a Cometic MLS gasket is a necessity; water holes are omitted and other specifications changed in order to help the engines stay alive. Two views of the completed engine. Photography courtesy of Jackson Drake of Drake Productions. Setting trends isn’t easy. As seen in this article, it takes a partnership between manufacturer, builder, and racer in order to succeed. 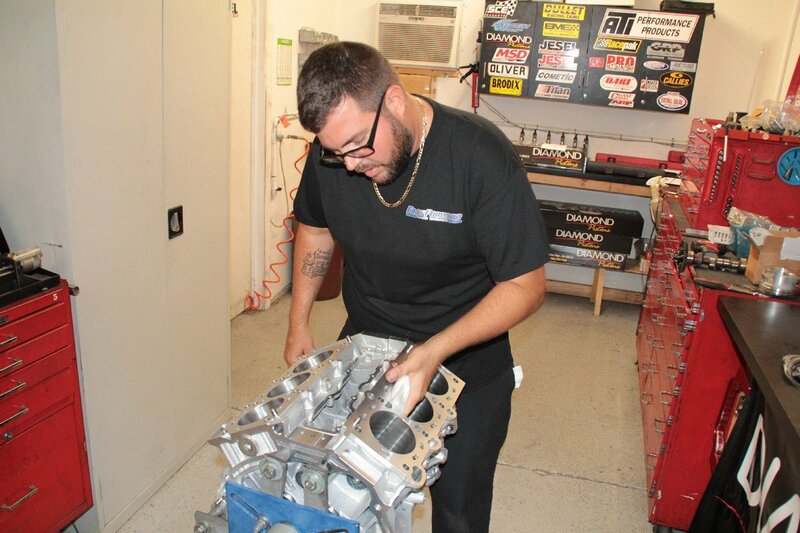 This particular partnership between Fast Forward Race Engines, Diamond Pistons, and TopSpeed Motorsports has proven to be a fruitful one. Each principal works together to select the correct product for the application, from turbocharger to engine bearings, giving the end-user a performance advantage. As seen in the video above, the TopSpeed Motorsports Alpha 16 machine with FFRE power on board recently turned in an insane 212 mph blast at the WannaGoFast standing half-mile event in Clayton, Georgia. That’s fast. The engine and its home in a Nissan GT-R. Photo courtesy Jackson Drake of Drake Productions.